You can leave a legacy of support for radio heritage. You can do this in several ways. You can register certain items of radio memorabilia with us. Simply complete the registration form and make sure instructions are left with your personal papers and the items themselves. We send you confirmation that your items are registered with us. We send you handy stickers to help identify them. Registration means that these items are gifted to us on your death. Alternatively, they can be delivered to us at any time of your personal choosing beforehand. If you wish, a public acknowledgement can be made of your gift. You can include us in your Will. This allows you to precisely state your instructions and wishes so your trustees are better equipped to administer your estate the way you intended. It's also an opportunity to make a final charitable gift that leaves a legacy of support for radio heritage long after you've gone. If you're about to make your Will or would like to add a 'codicil', and you'd like to include a gift for the Radio Heritage Foundation, simply download, print, and mail this form (20kb) to us. Wills and codicils must be dated, signed and properly witnessed. If you wish, a public acknowledgement can be made of your bequest. Please contact us to discuss how you can help the Radio Heritage Foundation through your Will. You can leave a bequest or gift to us no matter where in the world you live. For other items, please see contributions. You'll receive an acknowledgement of your registration. Please keep this with your Will and personal papers. If you have any questions, please contact us. Thank you for leaving a legacy of support for radio heritage. Our registration stickers will be mailed to you and can be used to identify items you want protected (such as albums, boxes, and cartons). 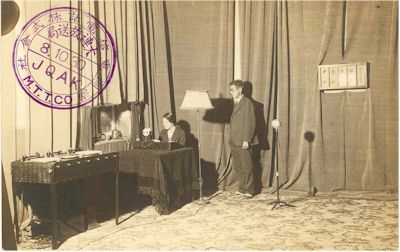 Where we consider it appropriate, collections outside New Zealand may be held on our behalf by a Radio Heritage Partner in your own country. "Radio news is bearable. This is due to the fact that while the news is being broadcast, the DJ isn't allowed to talk."